Spring Forward! 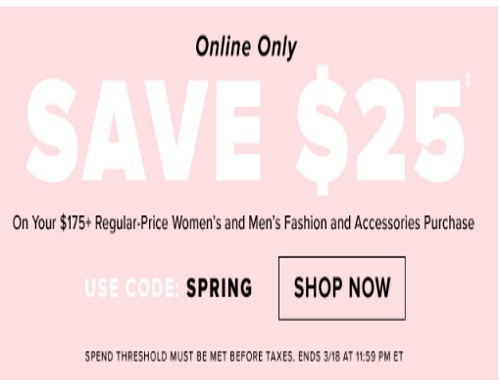 Hudson's Bay is offering $25 off when you spend $175 or more on regularly priced Women's and Men's Fashion and Accessories! Enter the promo code SPRING at checkout. Offer is valid until March 18 at 11:59pm ET.